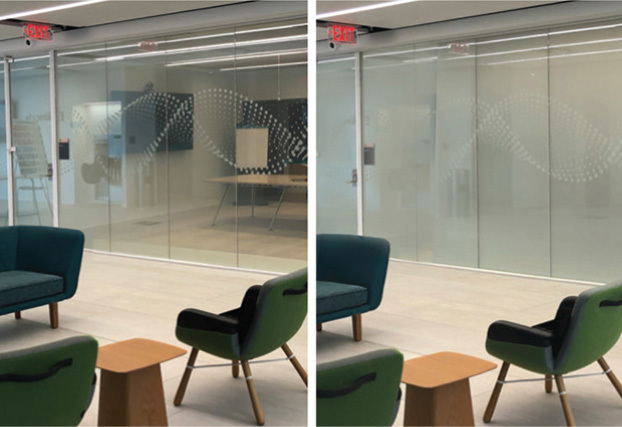 Innovative Glass, a New York based company, has been focused on creating and providing Dynamic & Electronic Glass Solutions to the world since 2003, using our proprietary eGlass products. 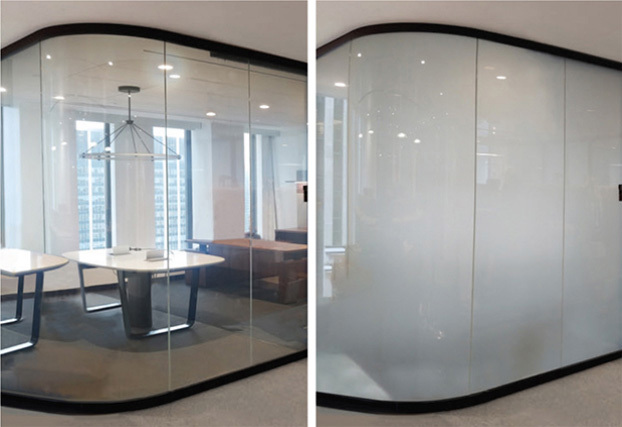 eGlass marries glass with electronics & other dynamic technologies, giving the user full control of light, privacy, sunglare and heat automatically, or at the touch of a button. 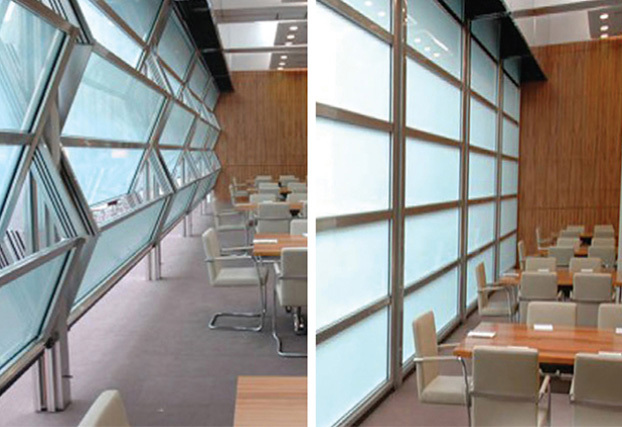 IGC is the one-stop resource for 'smart' glass windows, doors, skylights, partition systems, curtain walls and atria. 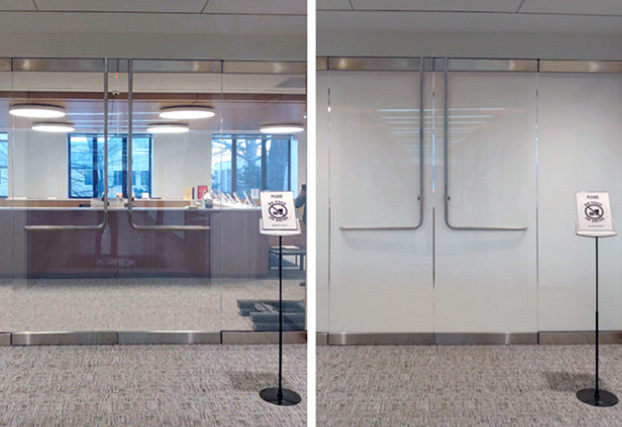 With countless numbers of eGlass installations, from high profile corporate projects to single windows, Innovative Glass is respected as of the premier and most technologically capable suppliers of dynamic glazing solutions. 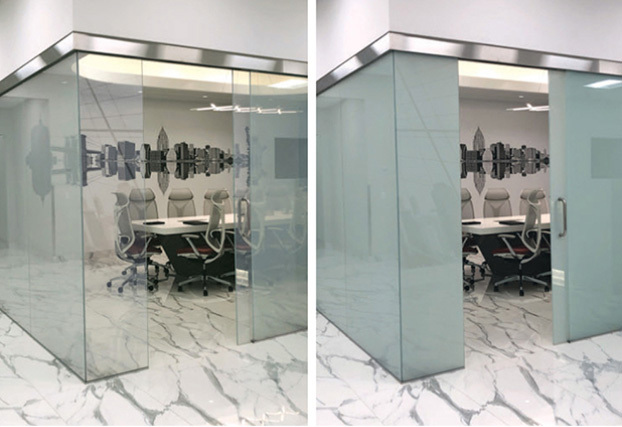 eGlass is available worldwide to builders, contractors, glaziers and directly to consumers through a variety of different sales channels, depending on your needs & objectives. 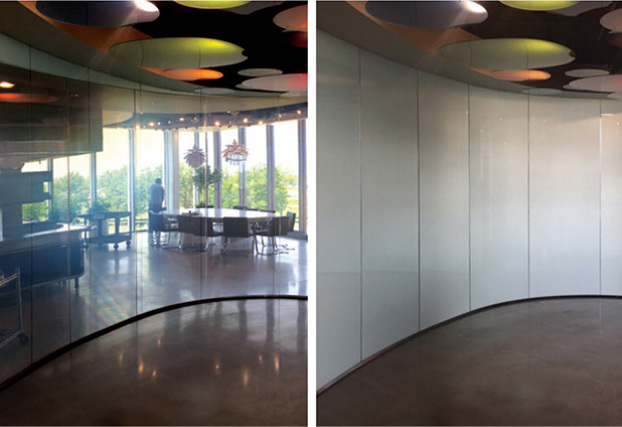 The eGlass product line is focused on dynamic glazing solutions that provide privacy, heat, light and energy control. Windows, doors, walls & skylights produced with eGlass provide an unmatched combination of comfort, security & energy efficiency. 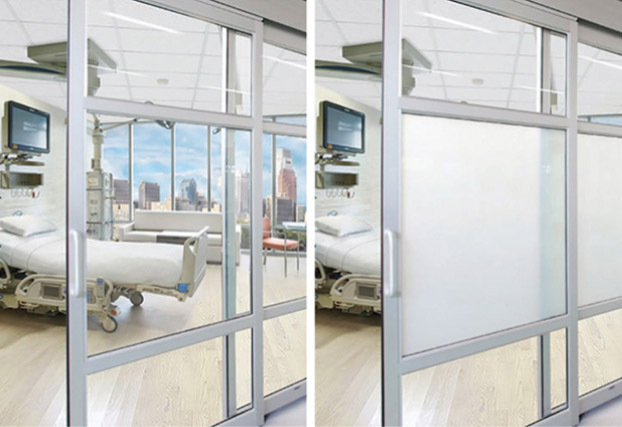 SolarSmart – Heat blocking, Self-tinting Glass that darkens in response to the heat of the sun. 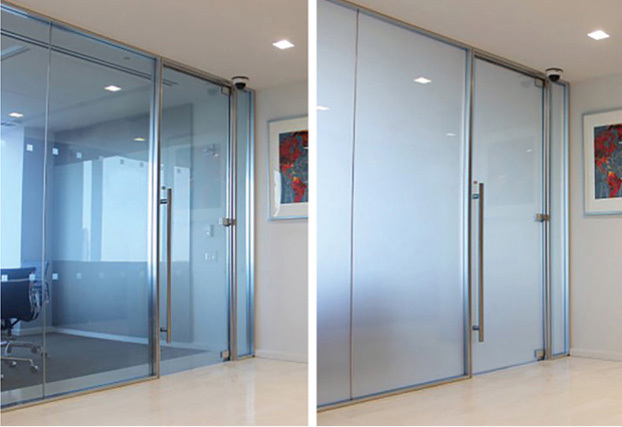 SolarSmart is a fully automatic, insulated glass technology that darkens in response to the heat from direct sunlight. 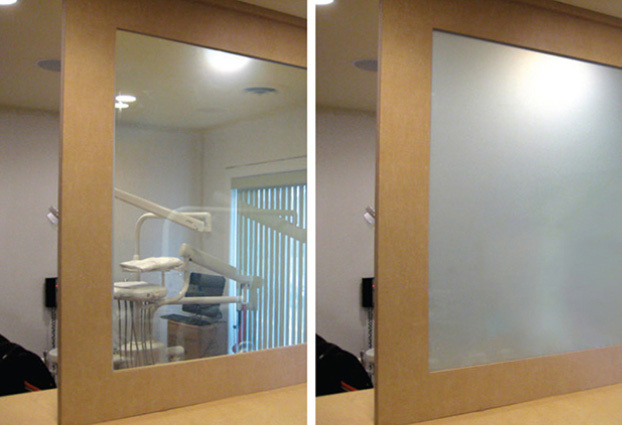 The hotter the glass surface gets, the darker the glass will tint. This provides the occupant with continuous heat & UV blocking throughout the day. 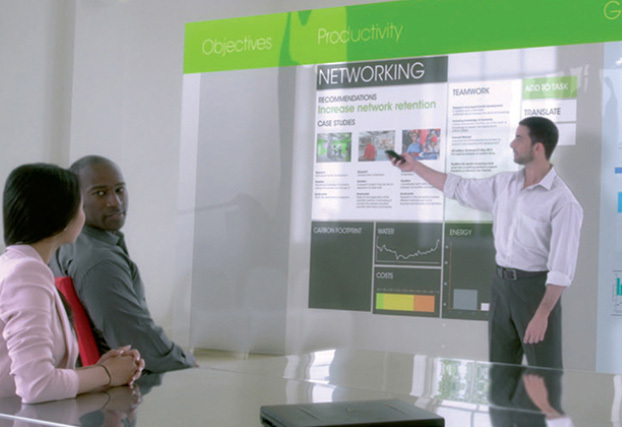 SolarSmart uses Suntuitive® glass as the active component in its assembly. As SolarSmart begins to darken, it instantly begins to slow down the transfer of heat from the outdoors to inside. Since SolarSmart is 100% solar activated, it requires no power, no wires or sophisticated control systems. This dramatically simplifies installation, maximizes potential energy savings and lowers costs associated with heating, air conditioning and artificial lighting. 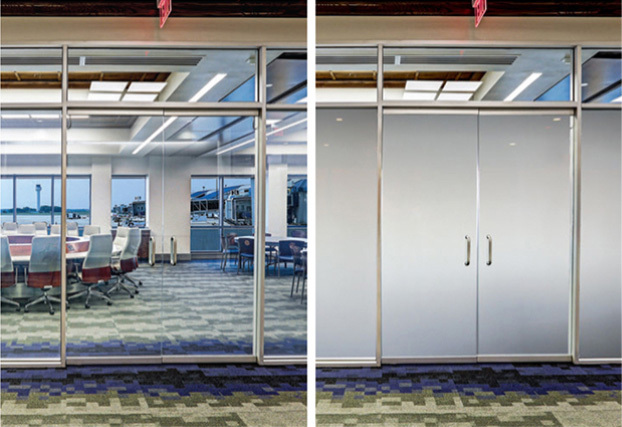 SolarSmart insulated glass units are ideal for curtainwalls & atriums, as well as complete windows, doors & skylights for contractor installation. 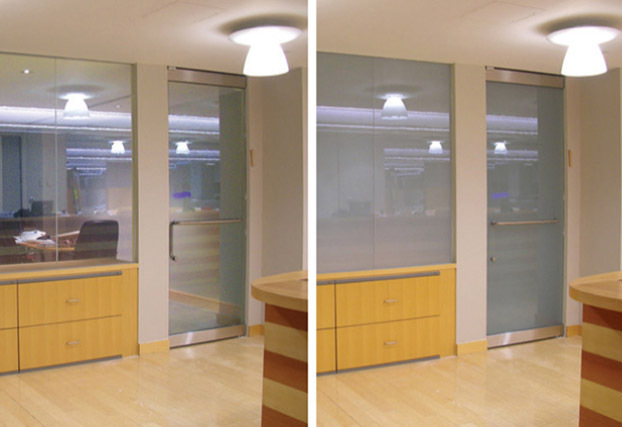 eGlass products not only help to harvest natural light, but also help to decrease our clients monetary costs by lowering heating & cooling load requirements.